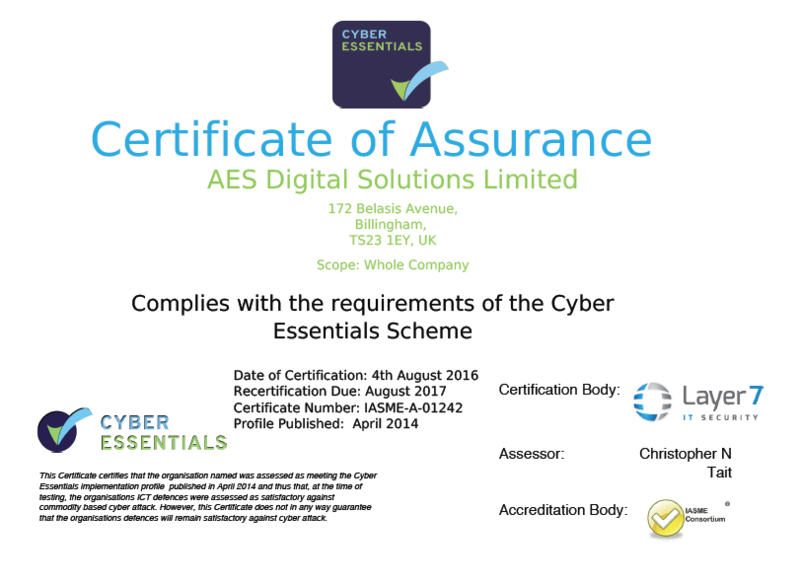 We are pleased to announce, that AES has been awarded the “Cyber Essentials” Certification, ensuring we have secure procedures in place to keep us and our customers’ data safe online. Thanks go to Dave Lloyd of Signacure for his help and advice in achieving this award. You can contact Dave at www.signacure.co.uk.